Sayyid Qutb (1906-1966) was an influential Egyptian ideologue who established the theoretical basis for radical Islamism in the postcolonial Sunni Muslim world. Lacking a pure understanding of the leader's life and work, the popular media has conflated Qutb's moral purpose with the aims of Osama bin Laden and al-Qaeda. He is often portrayed as a terrorist, Islamo-Fascist, and advocate of murder. An expert on social protest and political resistance, John Calvert rescues Qutb from misrepresentation and follows the evolution of his thought within the context of his time. Calvert recounts Qutb's life from the small village in which he was raised to his execution at the behest of Abd al-Nasser's regime. His study remains sensitive to the cultural, political, social, and economic circumstances that shaped Qutb's thought, including major developments that composed one of the most eventful periods in Egyptian history. These years witnessed the full flush of Britain's tutelary regime, the advent of Egyptian nationalism, and the political hegemony of the Free Officers. Qutb rubbed shoulders with Taha Husayn, Naguib Mahfouz, and Abd al-Nasser himself, though his Islamism originally had little to do with religion. Only in response to his harrowing experience in prison did Qutb come to regard Islam and kufr (infidelity) as oppositional, antithetical, and therefore mutually exclusive. 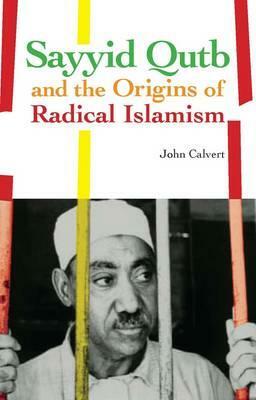 Calvert shows how Qutb repackaged and reformulated the Islamic heritage to challenge authority, including those who claimed (falsely, Qutb believed) to be Muslim.